Tesla has been working to finish 2017 by delivering the first Model 3s to non-employees, but it went above and beyond this week to get the all-electric sedan to one particular reservation holder: a man fighting terminal stage four cancer who said the “last thing on my bucket list” is getting to spend a few days with his Model 3. Well, I’d love to see November deliveries! i have a terminal stage 4 cancer and have been told I may only 3-4 months to live. 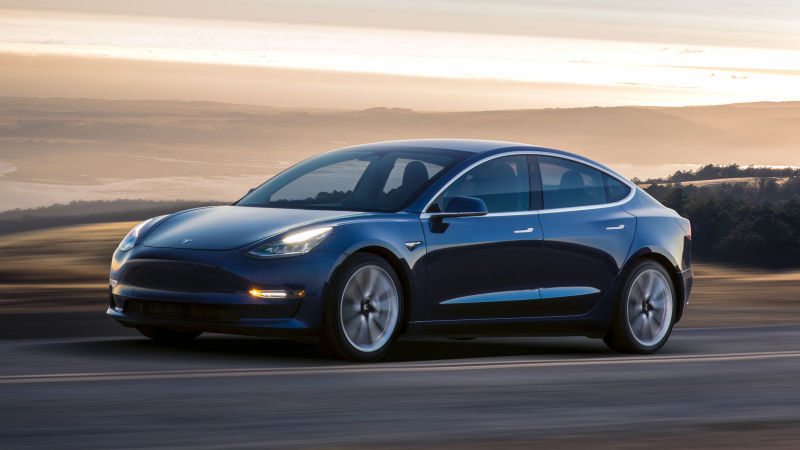 The last thing on my bucket list is our Model 3 and I’d like to have a few days to experience and enjoy it. I wonder if there is any flexibility in the que? Turns out, there is. As Electrek points out, another user on the forum, Bonnie Norman, asked the man if he’d like to at least check out someone else’s Model 3. A few days later, on Nov. 26, Norman writes, she sent photos along to Tesla, which put the gears in motion to speed up his delivery. The next day, Norman said, he was asked to configure his Model 3. Things moved quickly from there, and on Wednesday, the man took delivery of his Model 3, along with a private tour of Tesla’a factory. Jon McNeil, Tesla’s president of sales and service, gave him a walk-through of the car, reports Electrek. It’s a heartwarming tale, and I hope he’s spending today cruising around.